The songs of the desert are no longer a mystery. This fact could lead to a 1,001 stories. Speculative Fact #25: Besides the awesome title this is an amazing story. Another lost & found planet. Gruesome and True. Thankfully, this guy didn't get past the planning phase. A modern day monster. It's practically therapeutic to put him where he belongs: in a work of fiction. Speculative Fact #23: Don't think Indiana Jones has found this tomb yet. Speculative Fact #22: Water, water, everywhere. History is filled with myths and creatures focused on this, our most precious resource. Here is a fairly comprehensive list of gods, goddesses, and beings from around the world born of water. Speculative Fact #21: Morgan Freeman makes a complex theory sound simple. For those of you who like the idea of parallel universe but only need the basics to wrap your story around, here it is in just under a minute. Speculative Fact #20.5: Usually I only share one of these a day, but this one is too good! Vigilante heroes on the rise? Graphic novelists and comic book fans, here is your art stepping off the page. Run with this story and use it on yours! Speculative Fact #20 Entropy, take a break. Another one for you hard science writers. Speculative Fact #18: Witness to an assassination. The fate of a five year old boy and the nation are linked by a singular tragedy. Speculative Fact #17: The debate continues over the feasibility of zombie armies. Scientists are digging deeper. This article has a lot of potential across genres. Speculative Fact #16: Please, somebody get to this BEFORE Dan Brown gets his hands on it! 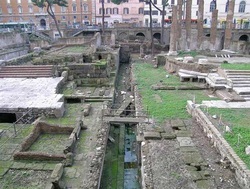 Speculative Fact #15: CSI Rome. Cesar's death was an inside job. We have the motive, and the murder weapon. Now we have the location. Speculative Fact #14: John Lennon must have been a precog, because it's official; there is a diamond in the sky. Speculative fact #13: A nother window into the working of nonhuman minds, shows dolphins to have a perspective from afield from our current understanding. What do they know that we don't? If you're thinking about a story that questions humanity doing so through the eyes of a dolphin is one way to do it. Speculative Fact #12: The following article is an in depth discussion of sub atomic physics and the mechanics of superpositions. It was cited by this years Nobel Committee on Physics as required reading and will be up for free for the next thirty days. This is a must read for speculative fiction writers, even if you don't do the hard-stuff. Quantam mechanics is a field that has impacted the social sciences and philosophers as well. Cross some genres today! Speculative Fact #11: In a dystopian future where books are burned and banned, the S.S. Logos may be our only hope. Speculative Fact #10: A Lost City, possibly the most advanced European Bronze Age settlement, ever. Need a lost civilization, or a near Atlantis equivalent? Speculative Fact #9: This is a moral dilemma of the near future. The more we learn about the human mind & brain, the more lines of morality get blurred as the degree to which we have free will is called into question . If we had the technology to determine sociopaths at birth, what would we do with them? Speculative Fact#8: Another one for the Sci-Fi on their way to the nearest habitable planet. Those who are not hard sci-fi, this interactive video makes the science a little easier to explain. Speculative Fact #7: How about a neo-alchemy story with super bacteria! Speculative Fact #6: Writers looking for a powerful female protagonist, here's your warrior queen. Speculative Fact #5: Need a source monster for your creatures? Look no further, this one's a hat trick. Speculative Fact #4: For those of you hard sci-fi writers, here's a new method for tracking down lost planets in hard to reach places. Speculative Fact #1: There were rumors, then there was Iron Man, and then there was proof.